Kristin Morrison is the owner of a large pet sitting and dog walking company that she started in 1995. She is also the founder of the Six-Figure Pet Sitting Academy and has coached hundreds of pet sitters from around the country on the fine art of creating business success while at the same time enjoying a rich and meaningful life. Kristin is also the author of the book: Six-Figure Pet Sitting: Catapult Your Pet Sitting Business to Unlimited Success and is a speaker at the National Association for Professional Pet Sitters (NAPPS) convention and is a frequent contributor of business articles to the NAPPS quarterly magazine. Clarissa Johal is the sole owner of For Your Pets, a pet-sitting business located in Raleigh, NC. She’s worked as a veterinary assistant, laboratory technician, and volunteered at the Sacramento Zoo as a keeper aide. 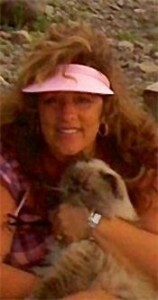 In 2002, she opened her own pet-sitting business specializing in animals with behavioral and special health care needs. Clarissa is also the bestselling paranormal author of Poppy, The Island, Struck, Voicesand Between. Her hobbies are the trapeze, running, ballet and photography. She shares her life with her husband, two daughters, and every stray animal that darkens their doorstep. Ann Wesley is the owner of Bloomington Pet Pals – in-home pet sitters in Bloomington, IN. The company has been in business since 2005 and in 2007 was named national pet sitters of the year by zootoo.com. 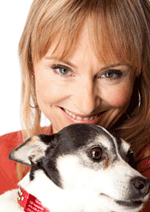 Prior to becoming a pet sitter, Ann had a media career as a writer and marketing executive. She has written for newspapers and magazines and served as marketing director for public television and public radio stations WTIU and WFIU. She also has extensive experience in web site development. Ann is a graduate of the Indiana University School of Journalism. Lori Genstein, Owner/Pet Care Provider of I’ve Got the ‘Scoop’!, LLC, grew up with an adorable dog named Sugie, Tommy the Turtle, and, at times, a bird or hamster. Experiencing the passing of her daughter, Jocelyn, and having another child with signiﬁcant special needs, Lori is no stranger to adversity or seeking out the positive in every situation. When her son became ill, requiring nursing care, the most challenging aspect was ﬁnding a compassionate, dependable nurse, one whom Lori trusted, and was respectful of her wishes for her child. That’s when Lori’s love and unique ability to connect with animals transitioned from volunteering, advocating, and fundraising for homeless animals, to I’ve Got the ‘Scoop’!, LLC; providing Pet Love, Enrichment, and Care for her “furry babies” as Lori refers to them, with respect, compassion, and patience, as she hopes a nurse has for her son. Soon after, pet parents began referring friends and family, veterinarians referred clients, as did various pet professionals, and animal rescues trust her with their adopted loves. Lori serves as a resource to pet parents, assisting them in becoming more conﬁdent and relaxed, and enjoying their pets; enlightening parents to the importance of preventative care, and raising awareness to safety and pet-related hazards. Lori is certiﬁed in Pet First Aid / CPR by the American Red Cross, is a member of Burlington CART (County Animal Response Team), and Burlington CERT (County Emergency Response Team.) She actively raises money to donate FIDO Bags to local ﬁre departments through the Fetch Foundation. Lori’s concentration is beloved pets with special needs, and her success is attributed to exceptional patience and compassion. Lori resides in Palmyra, NJ with her wonderful ﬁance’, Daniel; delightful son, Billy; and her own extremely special kitty, Simon’.